Major Publications: Forth is the author of Masculinity in the Modern West: Gender, Civilization and the Body (Palgrave, 2008), The Dreyfus Affair and the Crisis of French Manhood (Johns Hopkins University Press, 2004; paperback 2006), and Zarathustra in Paris: The Nietzsche Vogue in France, 1891-1918 (Northern Illinois University Press, 2001). He has also co-edited Sexuality at the Fin de Siècle: The Makings of a “Central Problem” (University of Delaware Press, 2008), French Masculinities: History, Culture and Politics (Palgrave, 2007), Cultures of the Abdomen: Diet, Digestion and Fat in the Modern World (Palgrave, 2005), and Body Parts: Critical Explorations in Corporeality (Lexington, 2005). 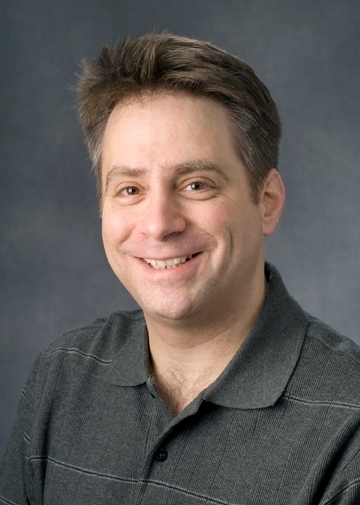 Forth has written numerous scholarly articles and book chapters, including “Surviving our Paradoxes? Masculinity, Modernity, and the Body,” Culture, Society and Masculinities, 1, no. 1 (Spring 2009); “Manhood Incorporated: Diet and the Embodiment of ‘Civilized’ Masculinity,” Men and Masculinities (2009); “The Novelization of the Dreyfus Affair: Women and Sensation in Fin-de-Siècle France,” in Victorian Crime, Madness, and Sensation, edited by Andrew Maunder and Grace Moore (London: Ashgate, 2004), 163-178; “Neurasthenia and Manhood in Fin-de-Siècle France,” in Cultures of Neurasthenia from Beard to the First World War, Marijke Gijswijt-Hofstra and Roy Porter, eds. (Amsterdam: Rodopi, 2001), 329-361; and “Bodies of Christ: Gender, Jewishness, and Religious Imagery in the Dreyfus Affair.” History Workshop Journal, 48 (Autumn 1999): 18-38. Younger Scholars Award from the National Endowment for the Humanities (1987). While teaching in Australia Forth also won a Carrick Institute Citation for Outstanding Contribution to Student Learning [“For Developing Innovative and Effective Multimedia Techniques for the Research-Driven Teaching of European and American Cultural History”] (2006) and a Vice Chancellor’s Award for Excellence in Teaching from the Australian National University (2006). Editorial Board, Culture, Society and Masculinities. When I was in fifth grade my teacher announced to the class that I would grow up to be a historian. Not that I took this very seriously: I just happened to know who Patrick Henry was, and was pretty sure that, whatever a historian did, it must be pretty boring. In fact it was not until tenth grade that the idea of an academic life began to hold any kind of appeal for me. This was not because of what I learned in any high school history class, but from stumbling upon a tattered copy of Dostoyevsky’s Crime and Punishment in my English class. My teacher said I could have the book “as long as you read it.” I did and it changed my life, generating an interest in the history of ideas that led me to literature, philosophy and social theory. I found each of these fields fascinating, but apparently so hemmed in by disciplinary conventions that focusing on any one of them seemed tantamount to bidding farewell to the others. When I began my university work I settled on history because it seemed like an open intellectual space in which to examine virtually anything pertaining to human society so long as it happened in the past. Ultimately what attracted me to history was its sense of openness and possibility, apparently limited only by the questions one brought to it. I’m not sure what my fifth grade teacher would have to say about this, but it seems she was right after all. My specific interest in the cultural history of gender, sexuality and the body was sparked during my final semester of graduate school and has never ceased to inform my work. Feeling the need to make sure I had read “everything” on my period before submitting my dissertation on the first French reception of Nietzsche’s work, I happened upon Bram Dijkstra’s Idols of Perversity: Fantasies of Feminine Evil in Fin-de-Siècle Culture (1986), and quickly became enthralled. 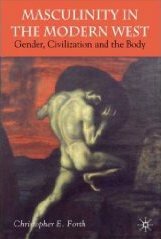 Dijkstra’s rich analysis of how depictions of women in art and literature were informed by developments in biology, psychology, medicine and social theory – and how many of these representations seemed like compensations for a spectrum of male anxieties – completely changed my view of intellectual and cultural history. I became sensitive to how gendered language is often used to describe social and political phenomena, and reflected on the numerous instances in my dissertation where I had treated such language uncritically. A closer focus on how various groups described Nietzsche and his followers in gendered terms seemed worth pursuing, and while it was impractical to recast the dissertation at that late date, I developed this theme more fully when revising the text for publication. Thanks to these new insights the end result, Zarathustra in Paris: The Nietzsche Vogue in France, 1891-1918, provided a more complex perspective on the dynamics of cultural reception and intellectual politics, and a springboard for much of my subsequent work. “Very intelligent man with a real passion for the subject.”….